One of America?۪s native breeds, the American Foxhound is also one of our rarest. This tall hound sports a close, hard coat that can be any color. The Foxhound in this country is used for four purposes, thus calling for hounds of a different characteristics: competitive field trial hounds and “trail” hounds (speed is most important), fox hunting hounds (slow workers with good voices), and pack hounds (15 to 20 hounds or more, used by hunt clubs and farmers). The American Foxhound's origins date back to the early 1700's in Virginia and Maryland, where it developed from the Walker, Trigg and Goodman strains of foxhounds. George Washington is the father of the American Foxhound ??? he ran a breeding program and often referenced his hounds in his journals. The American Foxhound was bred to run, so they are an ideal pet for those who live in rural areas or on large farms. They can do well in smaller areas, however, with owners who provide them with adequate exercise. Hounds raised in the home tend to be mild tempered and easy going, getting along with children and most other pets. Their short coat is easy to care for, but owners will need patience and persistence in training, as the breed can be stubborn and independent. Hound Group; AKC recognized in 1886. Ranging in size from 21 to 25 inches tall at the shoulder. Frequent brushing with firm brush. 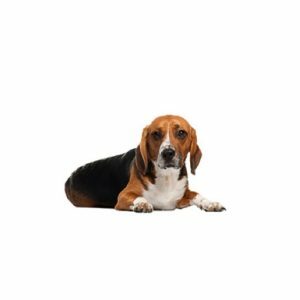 Are you interested in purchasing a American Foxhound?